Tiger Sky Tower Review - How to Enjoy an Amazing Skyline? Home Singapore Tiger Sky Tower Review – How to Enjoy an Amazing Skyline? Imagine a city without skyscrapers…Imagine a city without a modern transportation infrastructure…Imagine a city without global conglomerates dominating the economy. Are any of these imaginable in the world we live in today? Rather than arguing this, we want to focus on admiring and embracing all of the above. 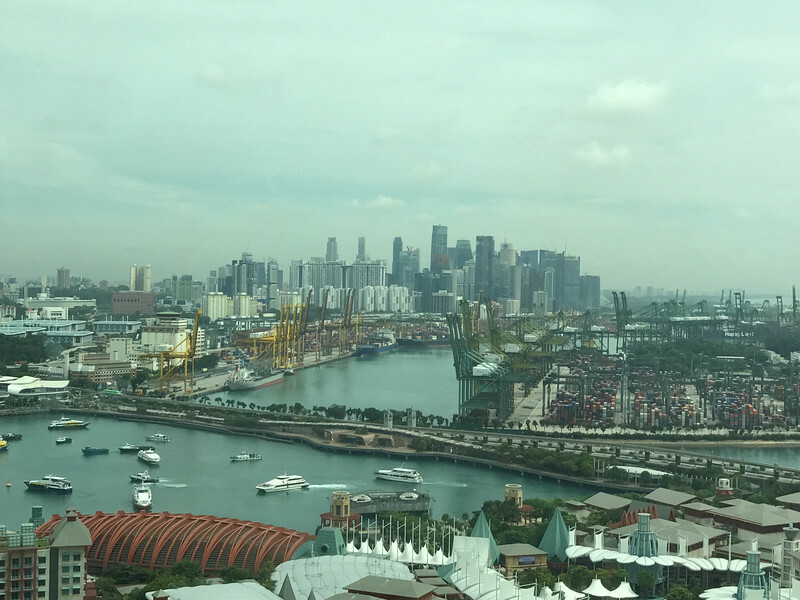 Our recent visit to Singapore gave us the opportunity to contemplate all of this as we ventured to the summit of the city’s tallest observation deck – the Tiger Sky Tower. 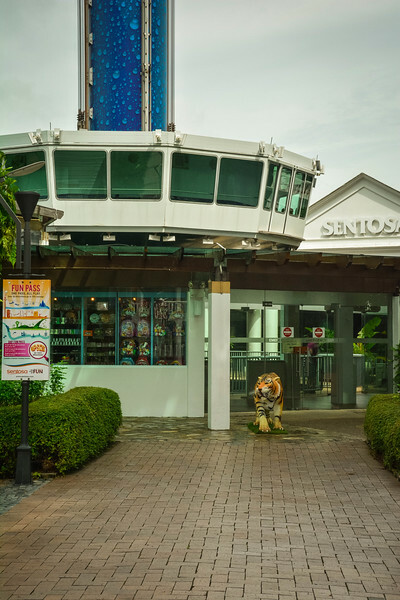 Hopefully, our Tiger Sky Tower review will give you an insight into why visiting Sentosa Island is worth the visit. 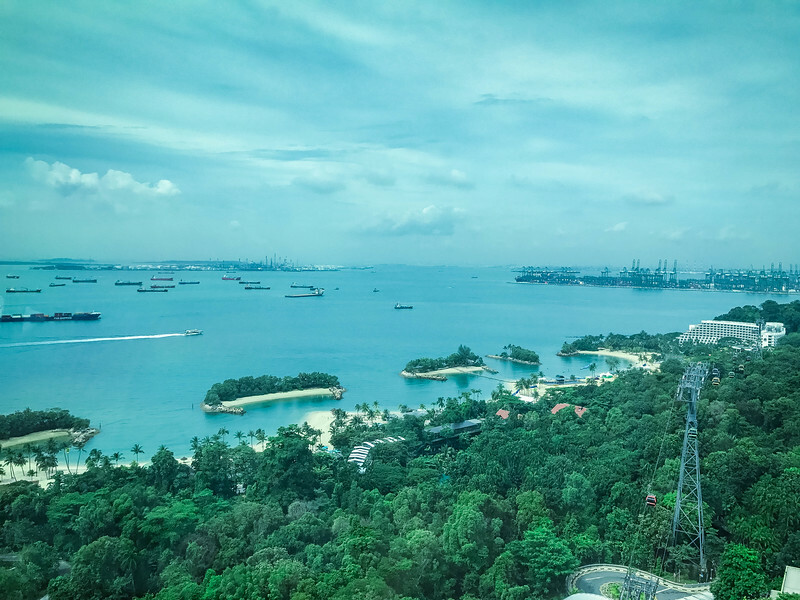 Although we didn’t have time to enjoy the ‘stereotypical’ Sentosa Island experience, our visit to the Tiger Sky Tower gave us the chance to see the transformation of Singapore over the years. 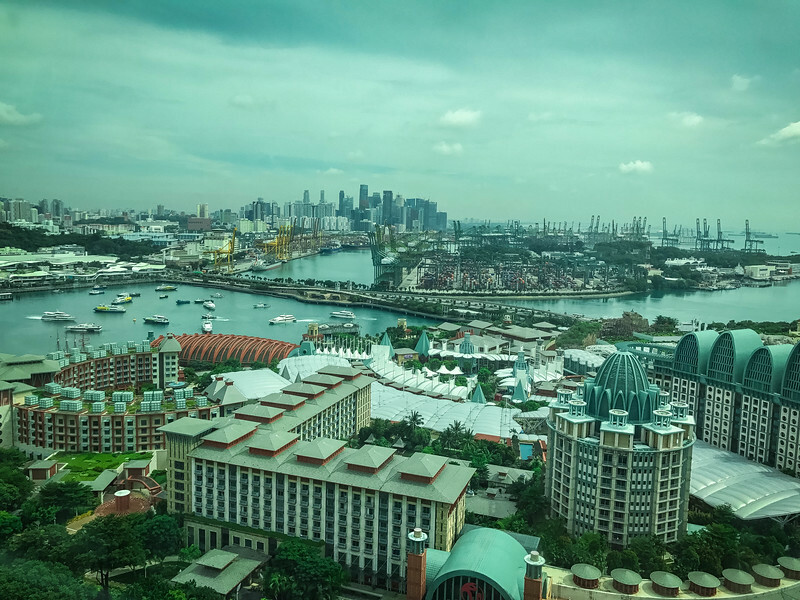 What was once a “colonial backwater,” Singapore has since been transformed into a “global metropolis” (The Telegraph, 2015) and this is apparent from the top of the tallest observation deck. A visit to Sentosa Island may immediately capture your imagination and bring back memories of your childhood but there is plenty here for all ages to enjoy. 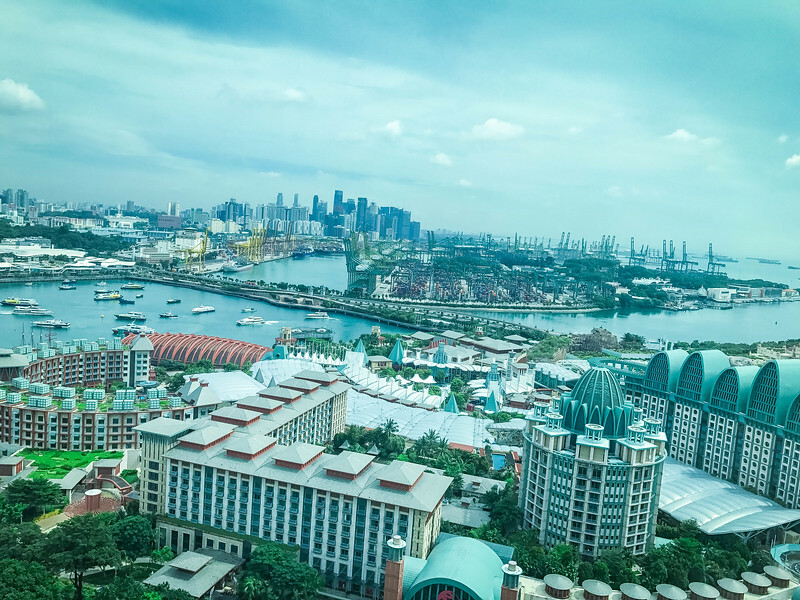 This magical island is just a short ride from Singapore’s central business district and the transformation of this island into a fun-filled theme park has certainly increased the number of visitors to this part of Singapore. 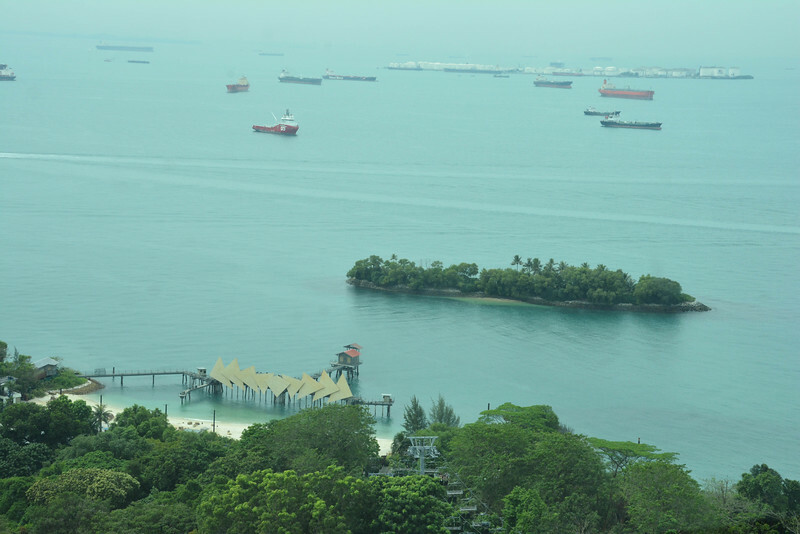 You can reach Sentosa Island using Singapore’s efficient public transportation system. 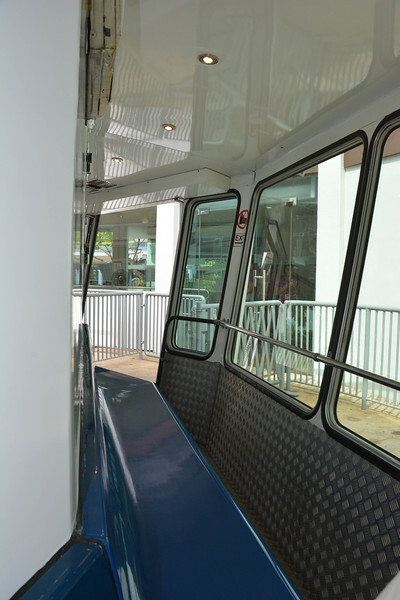 Head to HarbourFront MRT station and then follow the signs to the Sentosa Island cable car. 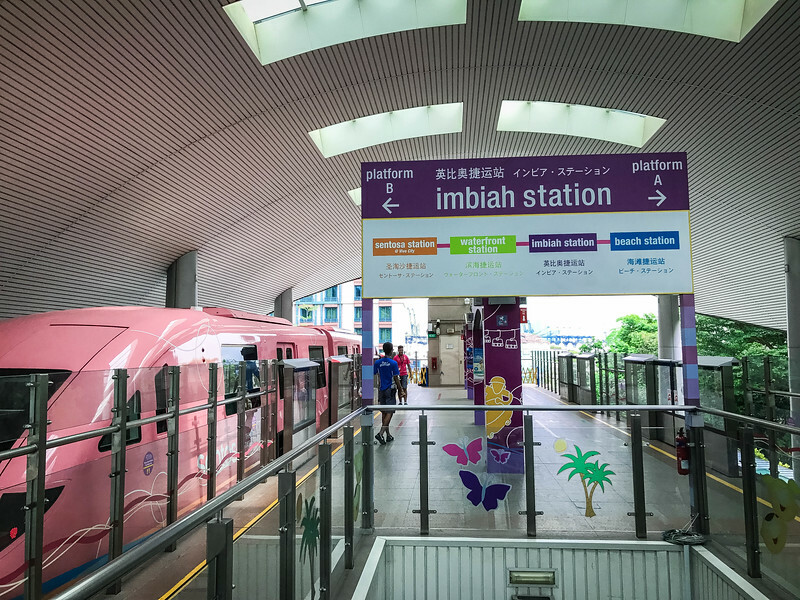 There are a number of stations once you arrive on the island but the most central location is Imbiah Lookout and this is a perfect starting point to experience all of the attractions. 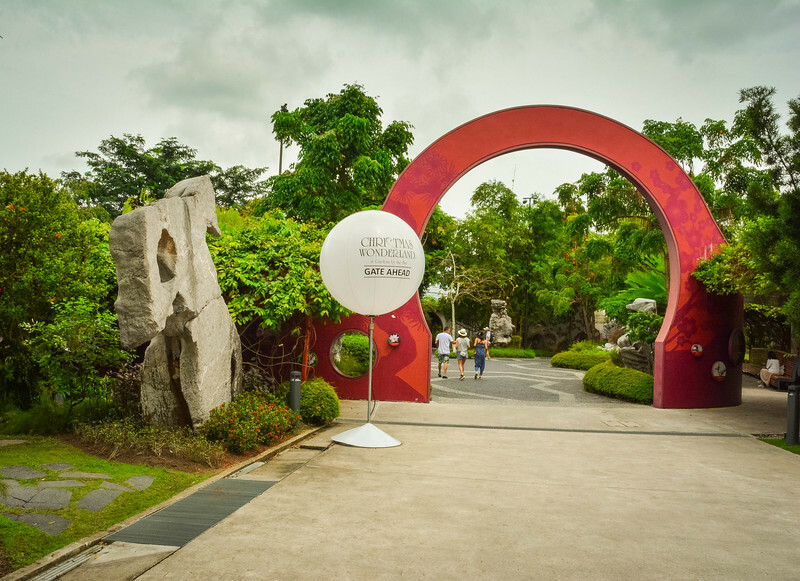 For those preferring to drive and avoid public transportation (we can attest that the journey from VivoCity to Sentosa is pretty hectic but it’s affordable and it avoids the hassle of renting a car), you can pay a small admission charge and drive across the Sentosa Gateway. With the South China Sea in one direction accompanied by the island’s beaches and the urban development of Singapore’s stunning skyline on the other side, it’s inevitable that visitors to the Tiger Sky Tower will be in awe as they peer down and appreciate the beauty throughout Singapore. 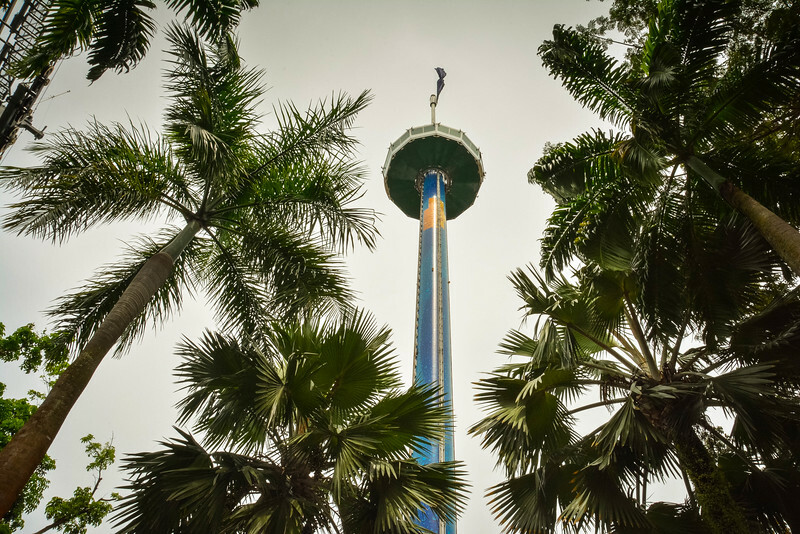 Our visit to the top of this tower enabled us to not only gain a birds eye view of Sentosa Island and gain a better appreciation to the popularity of this attraction but also enjoy the skyline that is particularly attractive at night. The below prices are accurate as of the time of this post being published and are subject to change. Check the Tiger Sky Tower website for the latest admission prices before visiting. The Tiger Sky Tower is open daily between 9:00 AM and 9:00 PM. We strongly recommend paying a visit both during the day and in the evening to enjoy the infamous Singapore lights that illuminate the skyline. Be sure to arrive no later than 8:45 PM as this is the last admission to the tower. The construction of the Tiger Sky Tower was completed in 2004 by a German manufacturer. 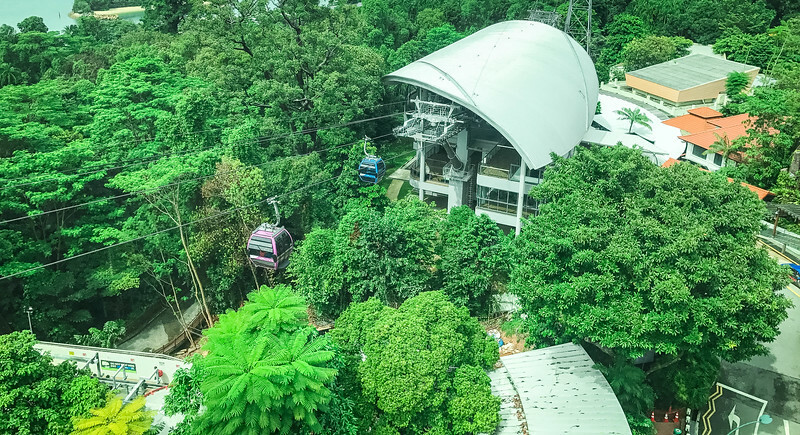 It stands at 131 meters above sea level and the enclosed air-conditioned cabin can accommodate up to 72 visitors on any journey to the top of the world! Our adventure to the top was everything we could have wished for. The cabin felt spacious, cool (which in Singapore’s hot, humid conditions was a great benefit!) 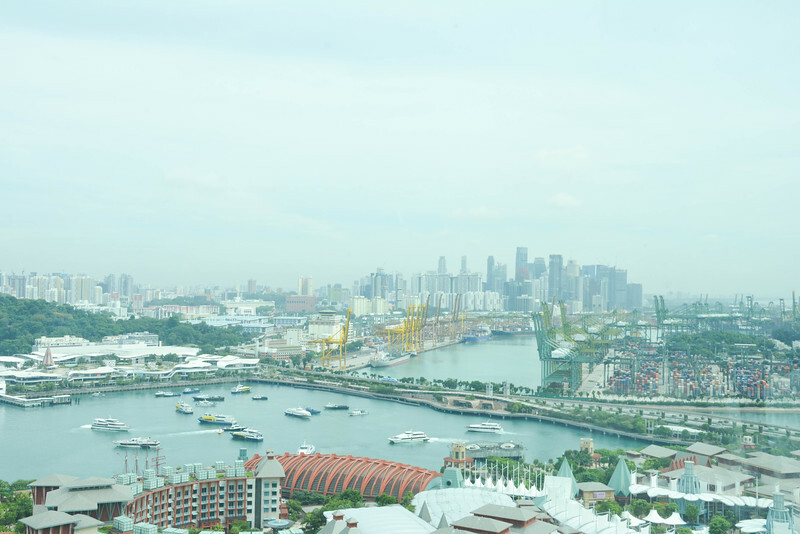 and offered the perfect environment to appreciate the 360-degree panoramic views of Singapore. The ride is relatively slow giving you ample time to capture pictures from every angle and the best part of the journey is how the cabin gently rotates around the 360-degrees. Even if you miss that all important picture, you can be sure that you will have another opportunity as the cabin rotates around albeit from a slightly higher (or lower on the return trip down) elevation. 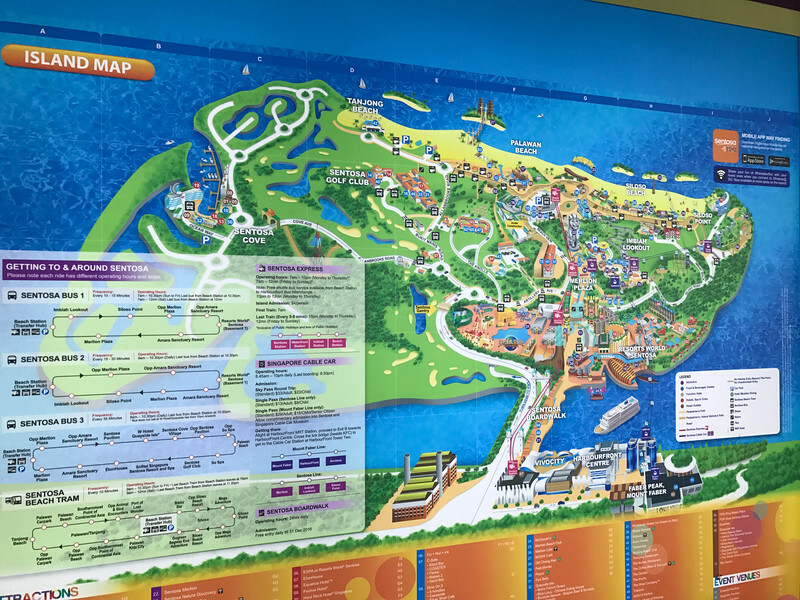 Detailed commentary is provided during your journey highlighting some of the key attractions and landmarks around Sentosa Island and beyond. If you are fortunate to visit the Tiger Sky Tower with favorable weather, you may have the opportunity to see as far as Malaysia and Indonesia. It was a little overcast during our visit but we still enjoyed panoramic views of the South China Sea and the Southern Islands. The highlight has to be the views across Singapore’s downtown metropolis. Perhaps because I am an architecture lover, I appreciated the skyline more than regular guests but just taking a moment to think back on how this city has developed over the decades makes you realize how a nation can thrive through urban regeneration. Singapore has a very westernized feel to it but there are clearly still a lot of authentic, cultural facets that helps the locals and visitors alike feel a sense of “home” when exploring this city. 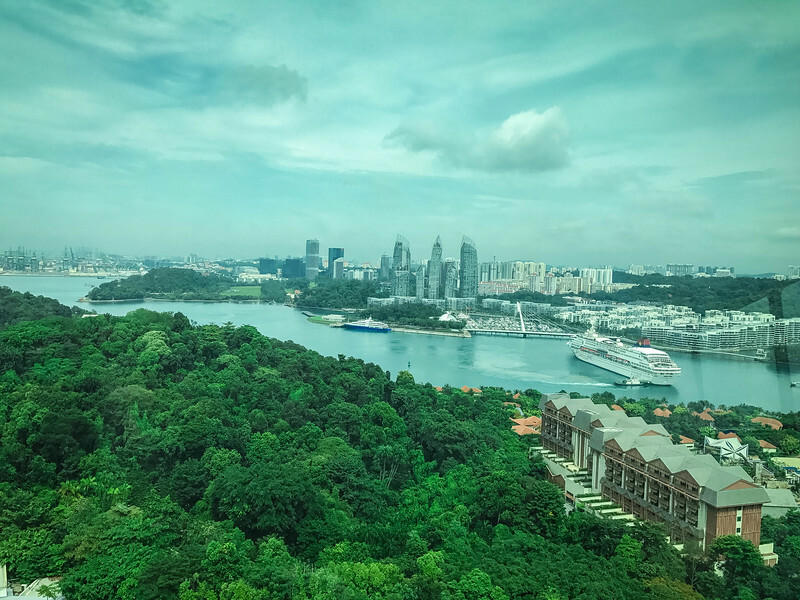 As we slowly rotated around the summit of the Tiger Sky Tower, we certainly gained a greater appreciation of this city and inspired us to explore more after we headed back downtown following our visit to Sentosa Island. 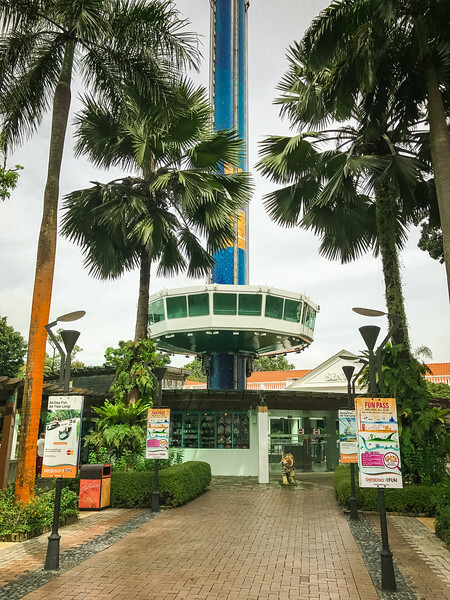 Tiger Sky Tower is certainly an attraction that you should consider visiting on your next trip to Singapore, especially if you plan on spending some time on Sentosa Island. 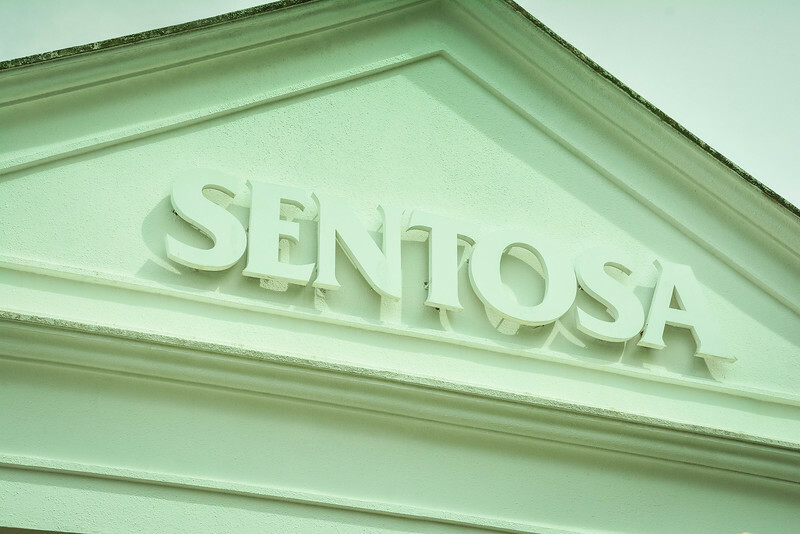 We would love to take a trip back to experience more of the attractions on Sentosa but we definitely enjoyed our journey to the “top of the world” (or at least that’s what it felt like). We have been fortunate to visit some of the world’s tallest structures, including our recent visit to Dubai which saw us experience the view from the top of Burj Khalifa and although the Tiger Sky Tower is not in that category, it is well worthy of the admission fee to get a better perspective on the city of Singapore. You never know, you may be able to claim that you saw two other countries (Malaysia and Indonesia) if the weather cooperates! Disclaimer – We received two complimentary tickets to visit the Tiger Sky Tower in exchange for consideration of a blog post. The views contained within this post are entirely our personal opinion/experience and we received no final compensation for this. Previous articleThe Westin Singapore Hotel – How to Enjoy 48 Hours of Luxury? 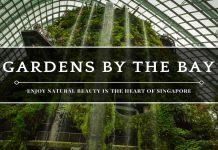 Next articleGardens by the Bay Tour – How to Enjoy Nature in the City? Gardens by the Bay Tour – How to Enjoy Nature in the City? 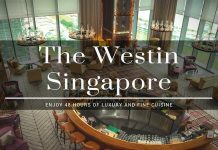 The Westin Singapore Hotel – How to Enjoy 48 Hours of Luxury? Really an amazing place in singapore the tiger sky tower, thanks for your suggestions and i wish to go to this place next vaccation. Thanks! The Tiger Sky Tower is awesome but so is the rest of Singapore 🙂 You will have a great time if you choose to go there on your next trip. I have always wanted to visit Singapore. There is so much history and culture. This Sky Tower looks like it is worth it for the views you get. I am not much on heights but I could do this. I bet the view looks amazing at night. The views from the Tiger Sky Tower are amazing during the day and at night. Singapore’s glitz and glamor really comes to mind when you overlook the amazing skyline after the sun sets. The height of the Tiger Sky Tower isn’t too bad so even for those that have a fear of heights, I think this is a good option to overcome that fear while at the same time enjoying stunning panoramic views. I have always wanted to visit Singapore, it sounds like such an exciting place with so much to offer! Nothing like seeing a city from the top of the world to gain perspective, and the Tiger Sky Tower certainly did that with flying colors! Completely agree with you Alison! Spending some time to view a city from a birds-eye perspective is a great way to start your experience especially if you are visiting for the first time. The Tiger Sky Tower is awesome because once you arrive at the top, you are treated to several minutes of slowly rotating around so you will never miss any part of the view and you can take as many pictures as you need. Visit Alleppey, Kerala Once in your life time. 🙂 Its a backwater with amazing views. We are currently planning for a Singapore adventure next year and although it may be so early to plan but as what others said, it is better to be prepared rather than traveling to a foreign place without any solid preparations. And I highly find your blog so helpful especially for planning our adventure next year in Singapore. Will absolutely consider your review with the Sky Tower. Thanks a lot!